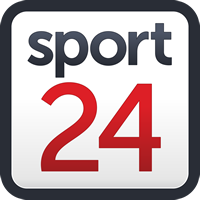 South Africa flyhalf Pat Lambie admitted to both disappointment and relief after announcing his retirement from rugby at the age of 28 due to on-going concussion issues. "It is a really big decision and I have extremely mixed emotions about it]," Lambie told sarugbymag.co.za. "But on the other hand, I feel relieved to know that I will not be at risk of further, more serious head injuries." Lambie, who has endured a number of concussions in the last three years that have limited his time on the pitch, said it took longer to recover after each one. He is still feeling the effects of a blow to head sustained in April playing for his French club Racing 92 against Munster. "I am following the advice of two neurologists, one in South Africa and one in France, both of whom I have seen on a number of occasions," Lambie said. "We have tried rest, medication, neck treatment, jaw treatment, eye rehabilitation, multivitamins, and now I am to avoid any strenuous exercise and sports that require contact. "Therefore, I am retiring from the game completely." Lambie made his test debut in 2010 and appeared for South Africa at the last two World Cup tournaments. His last test was against Wales in November 2016.